With mounting pressure on local authorities to release land for development, an increasing number of new developments are being created by what’s harshly labelled as ‘garden grabbing’. The phrase relates to the practise of people who own large back gardens of established properties selling sections of it to developers and earning large, life changing sums from it. This is often done when neighbours get together and create what’s called ‘land assemblies’ that share an equal amount of each householder’s back garden. The result is a potential development site for future homes. We’ve consulted and worked upon many deals like theses over the years and have the necessary experience in pulling together both straight forward and complicated land package assemblies. 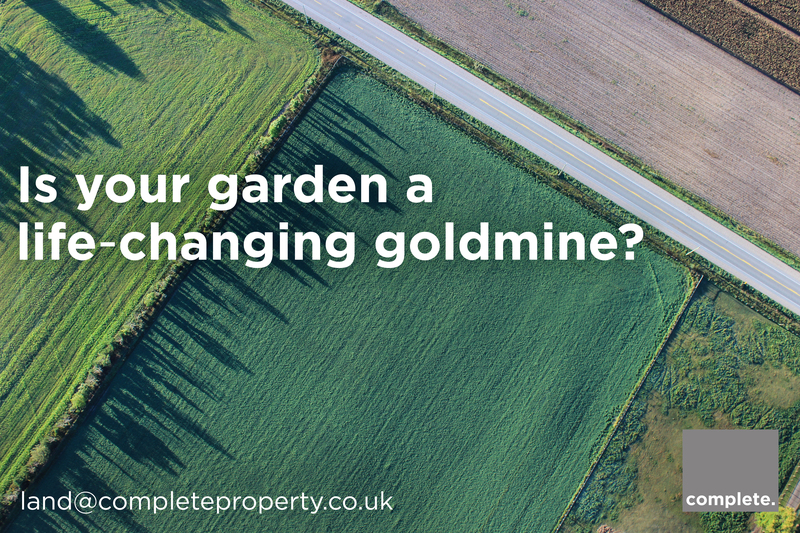 If bit’s something you’re considering, we can provide you with a no obligation consultation that includes a valuation based on the land as it stands today – and what the development could be worth tomorrow. Think about access – corner sites are particularly sought after.